“Charlie’s Angels” as we were aptly called came 10th out of a possible 15!! Although we would have liked to win so donations went to our chosen charity – Cancer Research, we are happy for our donations to go to any chosen charities shared by the regional winners. It was a great night with excellent food and very entertaining. I finished my university at Delaware, USA in 1998 (MBA) and moved in to the hotel industry; primarily sales and marketing. Working my way through two hotel chains, I moved into the serviced apartment industry in 2003. Soon, from business development, I was overlooking operations, guest relations, quality control as well as the new business development. I then, steered my interest further in to the industry by participating in to property acquisitions whilst managing a small business development and operations team. My biggest achievement within the industry is to house the entire cast of a motion picture called “The Jacket”; from George Clooney, Kris Kristofferson, Keirra Kinghtely, Adrien Brody, Jennifer Jason Leigh, Daniel Criag to Peter Strauss (Executive Producer). In the spare time when I am not working; I do enjoy regional music (Cuban, Arabic, Latin & Native American) and then make unsuccessful attempts to play it on guitar. I am a Marvel Action fan and collect animated comic videos; even from the 1970s. I have already done 78 hours of flying in a Cessna 152 (fixed tricycle gear with 4 cylinder engine) and am only few weeks away to have my PPL (private pilot licence). Other than this, I do enjoy water sports, a good round of golf and vintage cars. I hope that my time at The Apartment Service will be informative, effective and that I will be considered a valuable colleague amongst many. We arrived just after 8AM and it was great to have all of the exhibition stands and promotional material delivered by David Hobson from the Guest Services team - much easier than trying to carry it all in rush hour on the tube! As soon as the exhibition opened the networking started! There were lots of familiar faces and it was good to catch up on the news as many came over to say hi and reminisce about EURA. Our stand featuring Shakin' Stevens and 'Audrey' seemed to be an attention grabber and caused a lot of comments - mission accomplished! The competition winner was 'over the moon' to win a 2 night stay in our Madrid Apartments. His colleagues on the KPMG stand looked slightly jealous as he received his prize on TAS stand. Once I had rushed home to put my best glad rags on, I walked to Morden Tube Station for the train to Hyde Park and The Spanish Embassy. Arriving at this fantastic embassy I was greeted with a glass of finest Spanish Cava and some lovely Tapas. It is a remarkable place with massive windows leading on to a courtyard and some amazing works of art on the walls -very grand!!! Sean Frazer also from TAS met me there a little later and we proceeded to listen to speeches all in Spanish… (it gave us time to organise our business cards for the networking session ahead) Once the speeches had finished it was time to mingle, so a couple of glasses of cava later and we were ready to rock and roll. Sean went one way I went the other and we met occasionally for a drink and more gorgeous tapas. We made lots of useful contacts that night and had quite a few drinks (as you can imagine) By 9pm we were all talked out and decided as most people were leaving we should follow suit and head home!! This year I had the opportunity to attend to the Kent 2020 conference and exhibition which is the largest networking event in the South East. As the economy continues to wobble en-route back to growth, small businesses have learned that it is increasingly important to reach out to prospective customers to drive their sales message; they have also learned that networking is a very cost effective marketing and conversion method. Kent 2020 not only offered the opportunity to network with businesses within the Kent region, the event also commissioned the Help of PR guru Max Clifford to advise businesses on how to promote their business and deliver their message to the end consumer. For those who are not familiar with Max Clifford. He has been in the business of public relations; protecting and promoting a wide variety of clients, for well over 40 years. He has become as instantly recognizable as many of the stars he has represented over the years. His views and comments are sought on a daily basis for the world’s media on a wide range of subjects and he regularly appears on TV and Radio as a guest on current affairs, news, documentaries and chat shows. It was a pleasure meeting Mr. Clifford and I truly appreciated his invaluable views on networking and new business development. Due to our continuous business expansion our friendly Sales Support Team is looking to hire a new colleague. 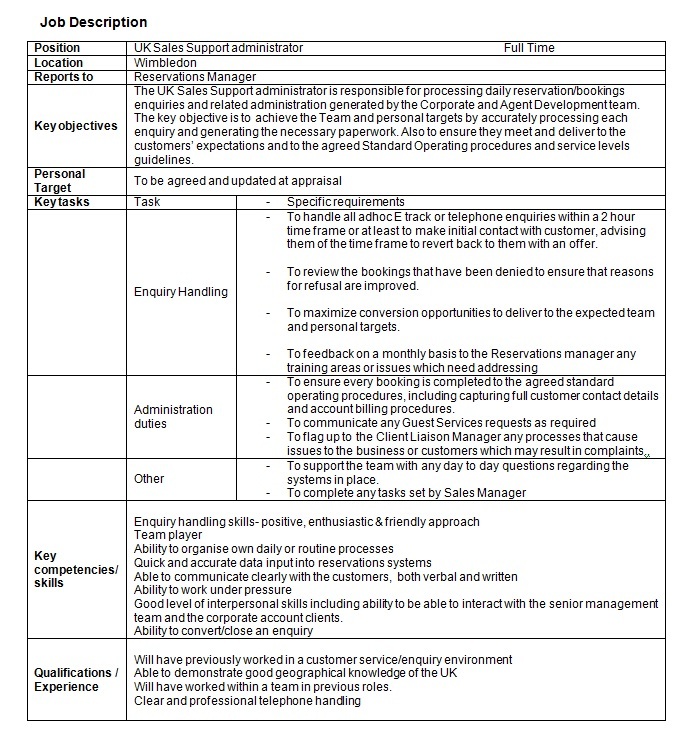 The role involves responding and processing accommodation enquiries generated by the sales teams. Working towards personal and team targets. The ideal candidate would be organised, positive and enthusiastic, capable of communicating effectively (both verbal and written) with customers and colleagues, as well as able able to work under pressure at times. A passion for excellent customer service is also a must. Have previous experience working as part of a team in a customer service environment (ideally in travel or hospitality reservation roles), have good geographical knowledge of the UK and have a clear and professional manner you might be just the person. Myself and Muireann King attended a fun packed ITM Conference last week and quite literally had a ball! The organisers hosted a black tie event on the Wednesday night so everyone got their glad rags on and drank and danced the night away. Once we had finished a most acceptable three course meal with wine flowing, we were entertained by comedian Alun Cochrane, a band played excellent covers in the main ball room and we went a boogied the night away in the silent disco! (We just hope we were not caught on camera). Around this fun fuelled evening we did actually have to be professional and represent The Apartment Service. We attended several seminars and met some lovely people within the industry. To round off a successful three days away, Muireann won the auction for two return tickets to Canada with her bid of £700 which she will use to see her brother who now lives there. Four and a half years ago I moved up to Hull, I have been dreaming of moving back to the beautiful South ever since. I am so happy to be given this opportunity to be back in London. All I need now is for my husband to find work and join me! I worked with both Tess Smith and Sara Calvo at UKIT Training in Tolworth. In fact my career has followed Sara’s, like Sara I also worked for Barclays Bank for many years (17) prior to working at UKIT Training. Whilst living in Hull I was in an HR role, recruiting Special Constables for Humberside Police. This new job as a Business Development Executive for The Apartment Service appears to be far more varied and exciting. In my spare time I enjoy travelling, socialising and keeping fit, my favourite class at the gym is Zumba. I can’t get enough of it.